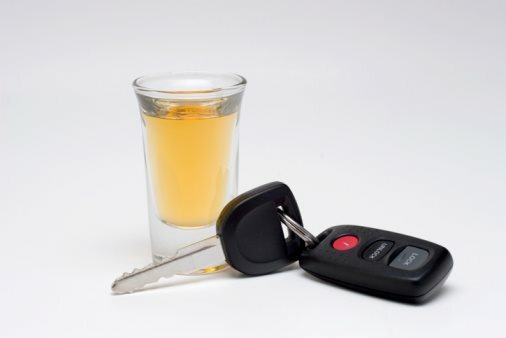 The state of Kansas classifies a person found guilty of driving under the influence as DUI. The driver charged with a Kansas DUI has met the standards set by Kansas DUI laws for illegally driving under the influence. Officers are trained to administer the standard Kansas DUI tests such as the "one leg stand", the "walk and turn" and the "horizontal gaze test". In Kansas, the breathalyzer test usually is not taken until arrival at the police station. There are other aspects that can lead to suspicion of committing a Kansas DUI such as your physical appearance, poor driving skills or statements made to the officer that could possibly incriminate you or lead the officer suspecting that you are under the influence of drugs or have a blood-alcohol content greater than .08. Some officers choose to put the suspect through their own tests such as reciting the alphabet backwards or counting backwards. If the officer does not use the standard sobriety tests set in place under Kansas law DUI, the suspect will have a greater chance of being found not guilty of a Kansas DUI. Under Kansas DUI laws set in place, an individual who commits their first Kansas DUI will be subject to a mandatory minimum of 48 hours in jail and 100 hours of community service. The guilty person will be charged with a fine of $500-$1,000. They will have their license revoked for 30 days and will be under a restricted license for 330 days following the suspension. Under Kansas DUI laws the court has the right to impound your vehicle up to one year as well as enforce a court ordered treatment program as additional punishment for a Kansas DUI is believed necessary. A second Kansas DUI can land you in jail for 90 days to 1 year. The fine is a minimum of $1,000 and a maximum of $1,500. Kansas DUI laws gives the court the right to take your license away for 1 year and well as order you to install and ignition interlock device in your vehicle following the suspension. Additional punishment includes vehicle impound and court ordered treatment. A third Kansas DUI is a felony. The fine ranges from $1,500-$2,500 and the jail time ranges from 90 days to 1 year. Like the first two offenses, Kansas DUI law says it can suspend your license for a year, impound your vehicle and order you to attend a treatment program. The ignition interlock device must be reinstalled. Fourth offense: The penalties for a fourth offense according to Kansas DUI laws call for similar penalties. The jail time is 90 days to a year followed by 1 year of post release supervision. Once again a ignition interlock device must be installed and the court has the right to impound your vehicle. A treatment program enrollment is likely to be enforced. Fifth offense: This fifth and all future offenses will lead to a permanent license suspension. Up to one year in jail with a minimum of 90 days. A fifth offense is a felony and you will be subject to a $2,500 fine and 1 year of post release supervision.